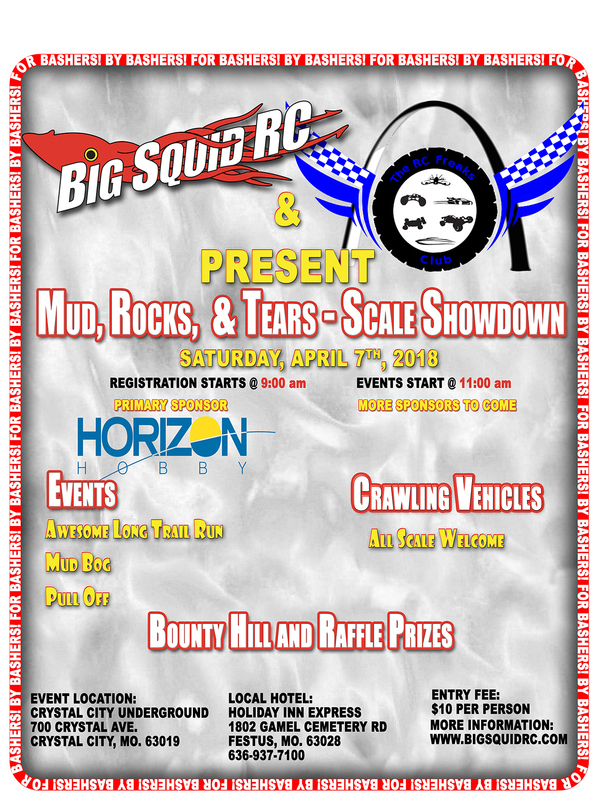 Event – BigSquidRC/STL RC Freaks – Mud, Rocks, & Tears Scale Showdown « Big Squid RC – RC Car and Truck News, Reviews, Videos, and More! Coming up on April 7th is our first scale event called the Mud, Rocks, & Tears Scale Showdown. 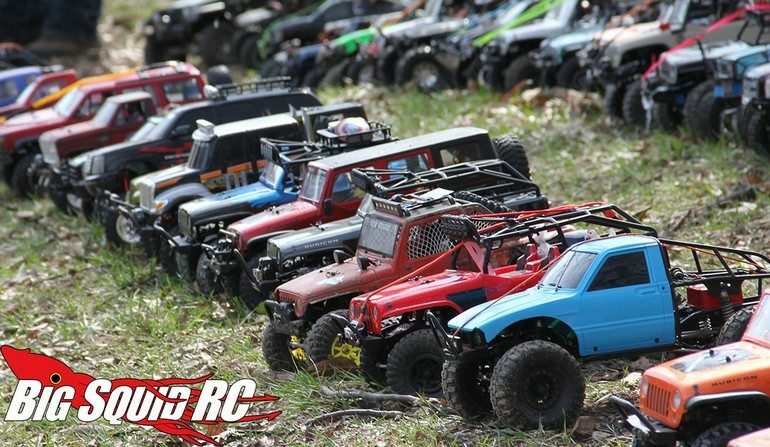 The BigSquidRC Bash Crew is working in conjunction with the St. Louis RC Freaks to put on one of the most challenging, and more importantly fun, scale crawling events to go down this spring! Mud, Rocks, and Tears is being held at one of the most unique venues you’ll ever see. The Crystal City Underground is hard to put into words, but it is near the banks of the Mississippi River and is comprised of an old mine with hundreds of acres indoors, as well as out. The indoor cave area is so large that is has it own lake (and boats! ), while the outdoor area is heavily wooded and roams around the foundations of ghost buildings that have long since past. Also, like all BigSquidRC events, it is focused on fun! There are no big rules to follow, or any type of tech inspection, just bring all your rigs and have fun, perfect for people new or old to the scale scene. We will be posting more details as we get closer to the event. For now we are posting up the date and location so that you and your trail buddies can start planning your trip to what is sure to be one of the coolest, and craziest, scale events to be held this spring! Have questions? Of course you do! You can hit the “contact us” link under site info at the bottom of this page, or feel free to send us a message over on the Mud, Rocks, & Tears Facebook Event Page. Read about More Events right here on Big Squid.